Renewable energy articles listings below. We’re adding new articles all the time so be sure to bookmark this page! We are pleased to be able to offer you these renewable energy articles for use on your web site, social networking profile or blog. They have been prepared with minimum formatting for ease of implementation. Is not part of premium membership/password protected web site. If reproduced in an email newsletter, the newsletter is sent only to subscribers who have opted in (subscribed) to that newsletter. If you wish to reproduce an article for a commercial online or offline publication; you’ll need express written permission from Energy Matters. We do respond very quickly to such requests. Sites and publications containing adult, gambling, illegal, obscene, racist content or hate material are not permitted to reproduce these articles. Energy Matters reserves the right to withdraw reproduction permission at any time for any reason. Article or sections of renewable energy articles must be reproduced in their entirety, no alterations are allowed. made, along with a live link to http://www.EnergyMatters.com.au or a relevent sub page. 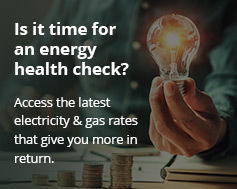 If you have any questions about these guidelines or need to use content under special conditions, please don’t hesitate in contacting Energy Matters. We’ll be happy to help! The following is a brief summary of the articles available for reproduction. Check back regularly as we’ll be adding more articles you can use! A solar regulator (also known as a charge controller) is used in conjunction with a stand alone (off grid) or a grid connect solar power system that incorporates a backup battery bank. Shopping for a solar power system can be an exciting time for many people, but as with any substantial investment, you’ll need to be careful who you deal with. This guide will help you separate the cream from the cons. An issue overlooked when buying a solar panel is in relation to the type of glass used – is it tempered or normal plate glass? The type of glass used on a solar panel really does matter. Solar panels are valuable and unfortunately the more unscrupulous in our society are realizing that too. Around the world there’s been a marked increase in the theft of solar panels, with people losing up to tens of thousands of dollars worth of equipment in single incidents. Here’s some handy tips for solar panel security. When considering a off grid or grid connect power system; the two main choices for renewable energy equipment are wind turbines and solar panels. So which is the superior, wind energy or solar power? Aside from cost and greenhouse gas emissions savings, the beauty of a solar hot water system is its relative simplicity and durability! Learn more about how solar hot water systems work. In the context of renewable energy, an inverter is a device that will convert DC battery voltage into mains type AC power. In this article, we look at the basics of inverter operation and different types of inverters. Battery chargers vary a great deal in intelligence, the types of batteries they can charge, how they maintain batteries, and how long they take to charge. As batteries are such a big investment when it comes to off grid solar power systems, it’s important to get the right one for an off grid solar power system. Did you know that installing a residential solar power system may be able to generate income for a household? Learn more about feed in tariffs and their importance in helping solar power become a primary energy source, stimulating clean tech jobs growth and to assist in lower the initial cost of purchasing renewable energy systems. Going off grid is becoming increasingly popular. According to USA Today, in 2006 there were around 180,000 households in the USA living off grid. This figure has grown dramatically over the past decade – around 33% growth a year. No longer confined to the realm of “tree-hugging hippies”, off grid is now mainstream. Like the other components of an off grid solar power setup, batteries play a vital role and they need to be a special type. Car batteries can serve for off grid power storage purposes for short term and emergency use, but even then they wear out very quickly – they simply aren’t up to the task. What’s needed is a deep cycle battery. Rapid technological advancement coupled with renewable energy incentives and rebates is now giving more home owners increased access to powering their homes via solar energy. There are two main types of solar power options for homes – off grid and grid connect; we look at both types in this article. Many people are a little wary of hooking up a residential solar power system; much of the hesitation due to the jargon involved which can get a little confusing. Terms like “photovoltaic cells”, “solar cells” pop up – what’s the difference?